Parkour may have its origins in France but that hasn’t stopped one British teen from joining in on the action. 17 year old Marcus Wilson has been practicing this strenuous extreme sport for years and his talents haven’t gone unnoticed by the World Freerunning and Parkour Federation (WFPF). Marcus placed a lot of his parkour style videos on YouTube where they were picked up by scouts from the federation who have since gone on to offer him a once in a lifetime opportunity in the United States. Marcus started practicing parkour at the age of 13 in his home town of Beccles, Suffolk, and now says that he practices it for around eight hours a day. The video that he made was completed with his best friend, 19 year old Ryan Lovejoy, and Marcus says the two of them had been filming it for two years in order to get it just perfect. Luckily for Marcus his parents are 100% behind him even though they do still urge him to be careful. Marcus claims that he does only do the risky jumps when he is in the right frame of mind however he does struggle to stay away from the rooftops in Beccles – he was even still practicing on them when his arm was in plaster a few years ago! In the four minute video (below) Marcus can be seen spinning off the pier in Great Yarmouth and clambering across the roof of the Chapelfield Shopping Centre in Norwich. The WFPF were so impressed with his routine that he has been offered sponsorship to fly from the UK to Los Angeles in order to teach parkour moves and stunts to others. Marcus has clearly jumped at the opportunity and says that he would love to work as a stunt man himself, when he is 18 and is legally allowed to be filmed. 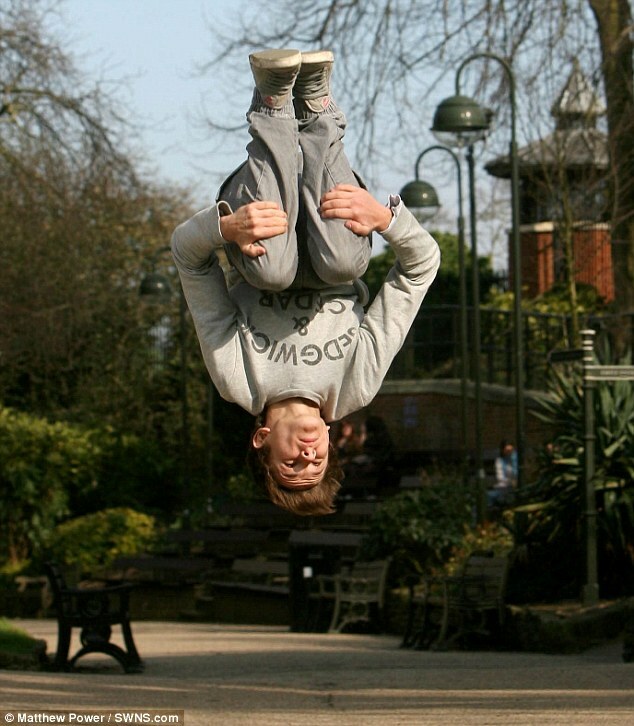 Speaking to the Daily Mail, Marcus said “I would love to make a living out of parkour – it would be a fun job”. All extreme sports come with some kind of risks however due to the heights jumped in parkour and the lack of safety equipment this is one of the more dangerous sports to participate in. If you are thinking about following in Marcus’s footsteps it’s a good idea to work alongside a parkour teacher who can gradually break you in to new moves and show you how to perform them safely. When practiced safely the sport teaches discipline and responsibility and there is no signs of its popularity slowing down. This entry was posted in Land Sports, News, Parkour and tagged Free Running, Marcus Wilson, Parkour, Stunt Job. Bookmark the permalink.